Interlan Company is the distributor of the products based on Metalingua technology, the leading-edge technology that breaks language barriers. 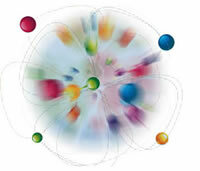 Interlan launches the world´s first multilingual Web 3.0 system at the www2009 Conference. InterLan is glad to inform that we are taking part in the 18th International World Wide Conference.